Now more than ever, marketers are using tools to monitor and keep track of the conversation about brands taking place on sites like Facebook and Twitter. While many of these tools monitor sentiment around Tweets and updates including a brand’s name, Keenkong takes a slightly different approach. Launched at TechCrunch Disrupt today, Keenkong seg­ments the con­ver­sa­tions taking place on Facebook and Twitter by topic (what), by inten­tions (why), by net­work size and more. So when you click on a seg­ment in Keenkong, you can see the related con­ver­sa­tions according to a particular topic. Keenkong’s linguistic processing engine extracts live why people are talking, what are they talking about, who they are and it segments messages accordingly. Keenkong automat­i­cally cap­tures, parses and groups incom­ing mes­sages from Twit­ter (includ­ing lists and searches) and Face­book. For example, Keenkong will segment Tweets about users choosing between your brand and another into one category. Or Keenkong will create a segment of Tweets and updates where a brand should thank the consumer for highlighting a positive aspect of a brand. It essentially allows marketers to break down conversations by actionable insights vs. sentiment or even topic. And the categorization of these actions makes it fairly simple to marketers to prioritize actions. Plus, Keenkong provides users with analytics around engagement and interaction with a brand on Twitter and Facebook. The social media monitoring space is crowded-with a number of worthy competitors in the space, including Scout Labs, PeopleBrowsr, ViralHeat and more. 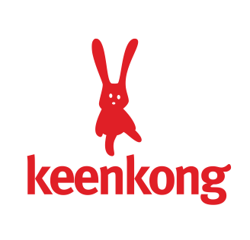 But, Keenkong’s application seems to provide a unique approach to the monitoring space, so many brand marketers are sure to find the application useful. TG: What’s different about what you are doing? KK: We are breaking down the conversation into actionable segments. TG: Still not hearing how it’s different than other dashboards out there. BG: What is your marketing, sales strategy? KK: We want this to be a open model, want marketing, PR agencies to use it. SP: I invested in Klout, which would be interesting to integrate in this. You should also integrate with Rapportive. JC: Great job with the presentation.Sentiment is hard to track. This has existed and has been expensive and wrong. The CRM piece is what people want. You should make this free and let everyone have it. Maybe you can be the person who cracks sentiment. KK: We built this fore custom metrics and segments. JC: It was good that you have visual stuff.